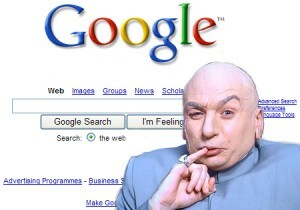 Recently an industry peer asked me if I was concerned that Google was diabolical. My concern is just the opposite—that Google’s peers—Microsoft, Yahoo! and others—are not being diabolical enough. We need more diabolical liquidity; otherwise we will have a display advertising monopoly. And that’s only fun for one person at the party. Google has been building its dominance in display in plain sight yet few seem to understand how to counterbalance its cunning and impactful moves. The Admeld transaction will be yet another example of this. Pundits will say Google bought publisher relationships and Admeld’s yield optimization service for large publishers. Now Michael and Ben and their team at Admeld have done an excellent job of pulling in top, large publishers such as CBS, IDG Tech Network, NBC, Quadrant One and Weather.com, but this misses the point entirely. Based on my own estimates, Google represents between 50-90% of display volume (QPS) being purchased by DSPs, ad networks and agency trading desks on a RTB basis. Incremental QPS volume comes from the SSPs (Admeld, Pubmatic, Rubicon), Microsoft (new to the game via Appnexus), my company CONTEXTWEB, OpenX and a few others. Beyond Google, Admeld (although much, much smaller) is the major contributor of QPS volume to most RTB buyers, although this may soon be displaced by Microsoft with its recent RTB enablement of all non-guaranteed supply by Appnexus. So why did Google buy Admeld? Publisher relationships? Sorta. But remember, people in New York like relationships and people in California like scale. Google is headquartered in California, and they are winning. Private exchange? Kinda. I spoke with four large publishers just yesterday active in private exchange area and all are pre-revenue. Not worth $400 million. Yield optimization? No. RTB makes yield optimization a legacy business. RTB moves the optimization to the buy side. RTB makes all SSPs into ad exchanges (RTB supply enablement). Now this morning the phones are burning at Yahoo!, Microsoft and other companies—should we buy a SSP (only two left, get ‘em while they are hot…)? Wrong question. How do I increase my overall QPS volume share from RTB buyers (ad networks, DSPs, agency trading desks)? How can I increase the clearing percentage, clearing price & overall liquidity of my existing QPS volume based on the evolving needs of RTB buyers? How do I make my RTB monetization offer relevant to large publishers and/or quality supply? I’ll address these questions in future posts. What do you think? Leave a comment below or contact me. Questions #2 and #4 are real challenges for premium pubs, but I believe there are tangible and credible means to overcome these. You can be sure that folks who bring along real street cred and the sort of data/insights necessary are driving towards these solutions. Agree with Jeff – very thought-provoking and insightful perspective, Jay. I think this also illustrates the transformation of the advertising environment and how it really must be a convergence of analytics/data/metrics combined with more substantial creative elements to gain awareness and spur actions with the audience. We are seeing an incredible (r)evolution in this industry. Traditional advertising is still a behemoth and it will continue to draw big ad dollars, but the proliferation of display advertising, search, video, social media and mobile (don’t forget the transition to digital television and movies with more people viewing TV content on their computers or tablets) will spur even more opportunity. We now need solid platforms to leverage each of these, both individually and as a holistic set of possibilities. Alan Kay said, “The best way to predict the future is to invent it.” I think we’re going to see some very exciting times ahead … as well as more entrepreneurial innovation and (without a doubt) consolidation.